Simplify your beauty routine with this single-step Ceramide Cleansing Oil. Featuring botanical oils rich in essential fatty acids and Vitamin E, the moisturizing cleanser gently removes makeup and dirt without drying your skin or leaving behind an oily residue. Simply gorgeous. Ingredients: Prunus Armeniaca (Apricot) Kernel Oil, Carthamus Tinctorius (Safflower) Seed Oil, Olea Europaea (Olive) Fruit Oil, Caprylic/Capric Triglyceride, PEG-20 Glyceryl Triisostearate, Parfum/Fragrance, Butylphenyl Methylpropional, Limonene, Linalool. 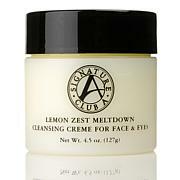 As a senior, I was unafraid to order an Elizabeth Arden cleanser, as the name has been around for as long as I have. The cleanser works very well, and the dispenser is easy to use. My face does not feel, at all dry, which is great in a cold weather climate. My skin tends to be oil and was a little worried about purchasing this but I am so glad I did. 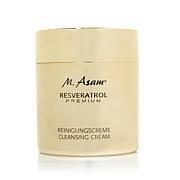 It seems to not only clean my face beautifully, it also seems to control the oil in my skin. I know that sounds nuts but it's the truth. Everything I have ever tried in the past has dried out my face for maybe a hour and then I look like I work in a oil field. I am 65 and due to the oily skin I don't look my age which is nice but my make up wanted to slide down my face about mid day. Since I have been using this cleansing oil I can wear my make up with no problem. I highly recommend this for all skin types. 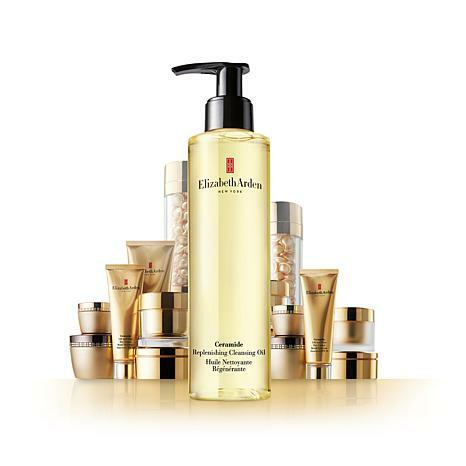 I know I will be a customer of Elizabeth Arden Ceramide Cleaning Oil for life or as long as she makes it. This Cleansing Oil is sooooo awesome! Makes your face feel so soft and clean so fresh!! Love Love Love it? ?